What You Can't Name Your Baby in Colorado? Did You Know You Can’t Name Your Baby Certain Names in Colorado? Did you know you can't name your baby certain names in Colorado? According to The Bump, this is the official Colorado rule when it comes to names. 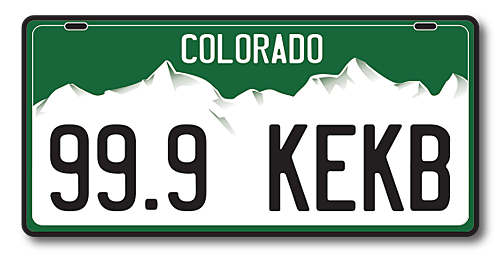 "Colorado has no limit on the length of a name, but you need to be able to spell it using a standard keyboard, so no graphic symbols or foreign characters." Other states have some whacked out rules, like Arizona which has a 141 character limit, - 45 for the first name, 45 for the middle name, 45 for the last name, and six for a pre-fix. So, tell me, who in their right mind would give their kid a 45 letter first name? In Hawaii there are no restrictions other than each symbol must be accompanied by at least one letter. In Arkansas, you can use hyphens and apostrophes but you can't name your kid baby, Babyboy, Babygirl, Baby Boy, Baby Girl, Infant, Test, Unk or Void. While most states require a baby's last name to match the mother or the father's surname, in Alabama, the kid can have any last name you want to give it, but no symbols. The one thing I would say in defense of babies everywhere, just because you can name your baby just about anything you want, it doesn't mean you should.